On a recent trip to Sally's this FingerPaints color caught my eye. There was more to it than meets the eye though! I'm still in my neutral phase and this one while it has some pink to it still reads to me as a neutral based on the subtly of the color. It's also metallic! 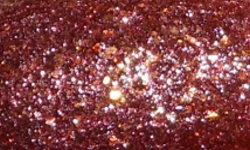 Rockin' Renaissance is a dusty rose mixed with gold metallic texture. Color: This is hard color to describe. 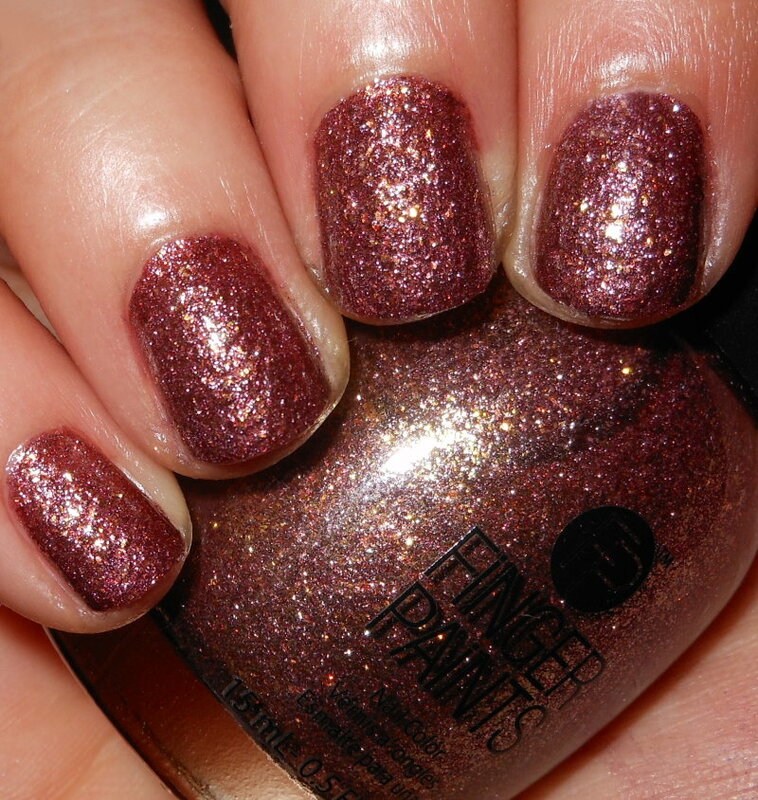 The main base of this polish is a dusty and muted rosy pink, but it's mixed with golden flecks. This does read to me as something on the rose-gold spectrum, but there is more pink than gold. I love this color because is a subdued pink so I think it would flatter many skin tones and many color palettes in regards to clothing and makeup. Formula: What surprised me about this polish is that it was a texture! I had no idea it was when purchasing it. I thought it was a glitter. I'm on the fence with textures, but I really like this one because of how metallic it is. I do like it, but I can't say I wasn't a little disappointed this wasn't just a glitter. I used 2 coats and it applied smoothly. I did try to add top coat to this to see if I could get a shiny finish, but it ate my top coat. Unless, you want to layer gel-like top coat on this, you're going to be stuck with a texture. Price: I believe I got this at Sally's for around $6. Overall: I like Rockin' Renaissance. I think the color is beautiful and if you're a a fan of rose gold colors you will definitely like this. The textured formula was a surprise to me, but I do end up liking it because of the metallic finish. I think this a color that is flattering and would look nice on many.